Whether you agree with everything this honorable man did while he was in office or not, George W. Bush is a class act, as is Laura. Like many Americans, U.S. presidents often take time off around the holidays. However, according to journalist Joseph Curl, who previously covered the White House, former President George W. Bush went on Christmas vacation in a way that stands in direct contrast to President Barack Obama. “[H]ere’s the thing: In December, we never left Washington, D.C., until the day after Christmas. Never. 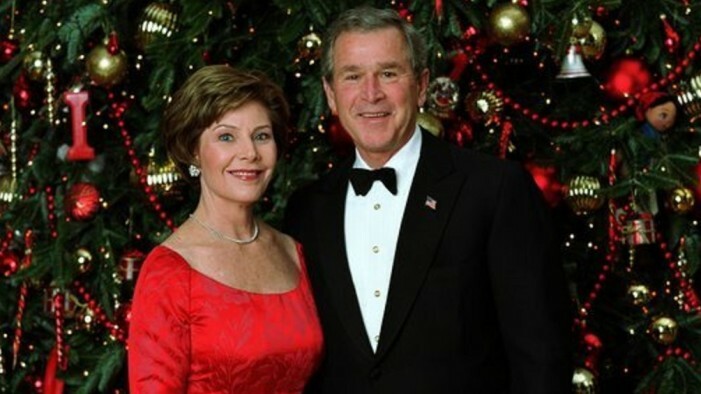 Mr. Bush and his wife, Laura, would always depart the White House a few days before the holiday and hunker down at Camp David, the presidential retreat in Maryland,” Curl wrote in a 2013 column that was republished Thursday. After a few years, curiosity finally got to the former Washington Times reporter and he asked a low-level administration official why. “Who was ‘us’? Hundreds and hundreds of people, that’s who. Sure, the reporters who covered the president, but also dozens and dozens on his staff, 100 Secret Service agents, maybe more, and all of those city cops required whenever the president’s on the move in D.C.,” Curl added in his column. However, things seemingly changed when Obama took office. “[T]his president would never delay his trip to his island getaway. He’s off every year well before Christmas. Hundreds and hundreds head off with him, leaving family behind,” Curl wrote. Another reason GWB always stuck close to home for the holidays is that he would always quietly visit “his troops” at Walter Reed. When Obama takes off for Hawaii for Christmas hundreds of people come with him, leaving their families behind. It’s reasons like this that President Bush is missed….VERY classy! Let’s spread this around folks…it’s Christmas.